Springs. Not only will the springs on your garage door need to be eventually replaced, it’s a dangerous job that you should leave to the garage door repair professionals. The springs control your door, so if they are too loose your door will fall and if they are too tight the door may open up on its own. Calibrating them properly and having them regularly maintained will help you keep your door operating smoothly. Automatic openers. Most people choose to install an automatic garage door opener on their doors, which makes it much more convenient to open and close. However, openers can cause all kinds of issues. 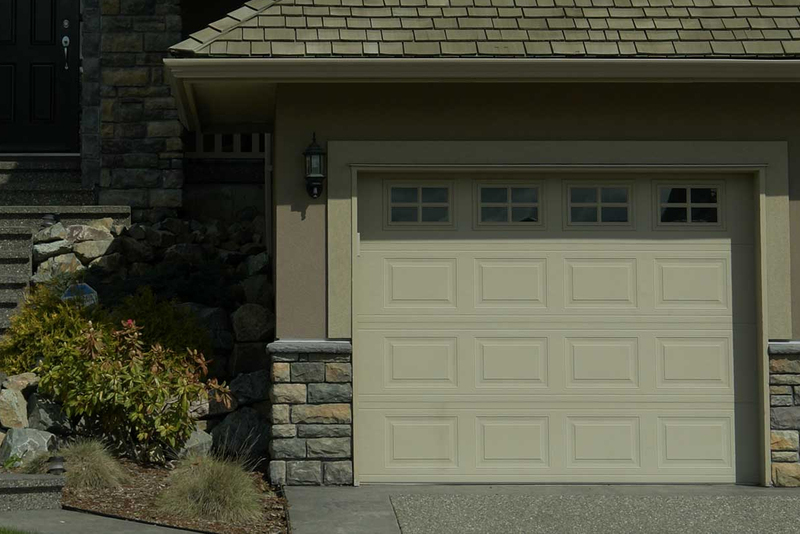 From needing to replace the batteries on your transmitter to issues with the mechanism that raises and lowers the door, our garage door repair team can diagnose and repair the issue quickly. Track. Garage doors rely on the tracks to run up and down. If the tracks get bent or if the door jumps out of the tracks, you run the risk of a stuck door that won’t go up or down. It’s best to allow one of our professional garage door repair experts handle any track issues, as the heavy garage doors can cause serious injuries when fixing the track. Photo eyes. If you have an automatic garage door opener, you have photo eyes. These are the sensors that check to make sure the door can safely close and offer protection to children and animals who may try to dash through the door at the last minute. If these sensors get misaligned, though, your door may refuse to close. They’ll need to be expertly aligned to ensure you have the clearance you need and to avoid injuries. Hinges. Most modern garage doors have hinges that allow the door to roll up instead of swing up. These hinges can get rusty and old and may need to be replaced on older doors. Hinges offer a design opportunity, too, to bring some personality to your garage door. So how to you avoid these common repair issues? Through regular garage door maintenance. Having our garage door repair team visit your home or business once a year allows us to perform an inspection that can catch minor issues before they cause major problems later on. We can oil hinges and tracks, perform maintenance on your automatic openers, and check your springs to see if they need to be replaced. This can even help extend the life of your garage doors so you don’t have to replace them as often! Give our Waltham garage door repair team a call if you are experiencing issues or if you’d like to schedule a maintenance appointment. You can reach us at 888-989-8758 or contact us through our website today.